PUNTA GORDA – May 2, 2017 – Attorney Forrest J. Bass was recently honored to receive the AV Preeminent® designation by Martindale-Hubbell® Peer Review Ratings™. AV Preeminent® is a significant rating accomplishment and a testament to the fact that a lawyer’s peers rank him or her at the highest level of professional excellence. Bass is Board Certified in Wills, Trusts and Estates which is The Florida Bar’s “Legal Expert” status. He received a Master of Laws (LL.M.) in Taxation from Boston University School of Law and a Juris Doctor from Stetson University College of Law. He also received his Bachelor of Arts from Flagler College. Mr. Bass is active in the community and supports a number of local organizations. 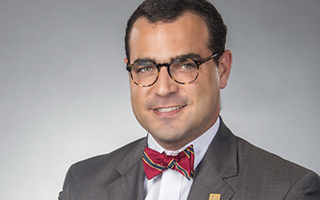 He is a member of the Florida Bar Grievance Committee for the Twentieth Judicial Circuit, past President of the Charlotte Estate Planning Council, and Board Member for the Charlotte Symphony Orchestra. The Martindale-Hubbell® Peer Review Ratings™ help buyers of legal services identify, evaluate and select the most appropriate lawyer for a specific task at hand. Lawyer ratings serve as an objective indicator that a lawyer has the highest ethical standards and professional ability and are used by buyers of legal services to justify their hiring decisions.